Sen. John Braun, R-Centralia and chief GOP budget writer, said he intends to find $1.4 billion in the state budget without raising taxes for funding education. Washington state Senate Republicans on Friday released a broad education-funding plan that would change how K-12 teachers are paid and how schools are funded. The proposal is intended to satisfy the state Supreme Court’s education funding order known as the McCleary decision. OLYMPIA — Senate Republicans on Friday released a broad education-funding plan that would change how state K-12 teachers are paid and how schools are funded. The proposal, which follows plans offered by Gov. Jay Inslee and Democratic lawmakers, is an attempt to satisfy the state Supreme Court’s long-simmering education-funding decision known as the McCleary order. Under the Republican plan, the state would collect new, local property-tax levies for schools, which would be set at a uniform rate statewide and not be subject to voter approval. The state also would add $1.4 billion per two-year budget cycle to supplement education funding. Local districts could still raise additional money with voter approval, but the amount would be capped and could only pay for extras, not basic education. Sen. John Braun, of Centralia, the chief GOP budget writer, said he intends to find the $1.4 billion in the budget without raising taxes. “This is an enormous change in how we tax our citizens,” Braun said. The plan includes a referendum clause, so voters would have to approve it. 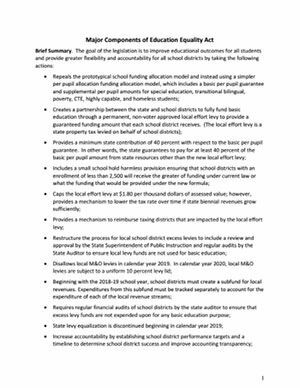 Among other things, the proposal would get rid of the school-funding allocation model and move Washington to a per-student model for school funding. Both the changes to the levy system and the per-student allocation model are generally based on the school-funding system used by Massachusetts, according to Braun. Under the per-student funding model, at least $12,500 would be allocated for each student, Braun said. Additional money would be provided for low-income students, special-education students and others. The proposal would boost beginning teacher pay to $45,000 from $35,700 annually, provide bonuses to top teachers and create a new housing allowance of up to $10,000 for teachers and staff in areas with a high cost of living. The plan would dump the current teacher pay scale, allow school districts to reward teachers on performance and make it easier to fire them. It also would bar teachers from going on strike. While Senate Democrats on Friday applauded the GOP for releasing a plan, they criticized the levy proposal, which they said would increase property taxes in the Seattle area in order to lower them elsewhere. Under the GOP proposal, Seattle’s current public schools property-tax levy rate would rise to $1.80 per $1,000 of assessed value from the current rate of about $1.28 per $1,000, according to Braun. Braun estimated that the average increase to Seattle homeowners would be $250 per year. “I would characterize that as a modest increase,” he added. Taxpayers in the Lake Washington, Bellevue, Mercer Island and Bainbridge school districts, among others, could also expect property tax increases, according to data on current estimated levy-tax rates released in December by the Office of Financial Management. Meanwhile, property taxes would go down for such districts as Kent, Renton, Federal Way and Tacoma, as well as less-populated areas of Washington, according to that data. Sen. Reuven Carlyle, D-Seattle, described the plan as “passionately focused on reducing tax rates in certain parts of the state,” like rural areas. The proposal also calls for repealing Initiative 1351, which voters approved in 2014 to reduce class sizes in all grades and boost school staff in everything from administration to maintenance. In all, 1351 was expected to create roughly 25,000 new jobs. The Legislature voted in 2015 to keep only the class reductions in kindergarten through third grade and delay the rest, after lawmakers argued the state couldn’t afford the full implementation. The proposal would also set academic goals for districts, and give charter-like freedoms to districts on target to meet them. “We urge the Senate and House to follow Inslee’s lead on K-12 funding and write a budget that puts students first, which is what teachers and education support professionals do every day,” said Rich Wood, spokesman for the Washington Education Association. 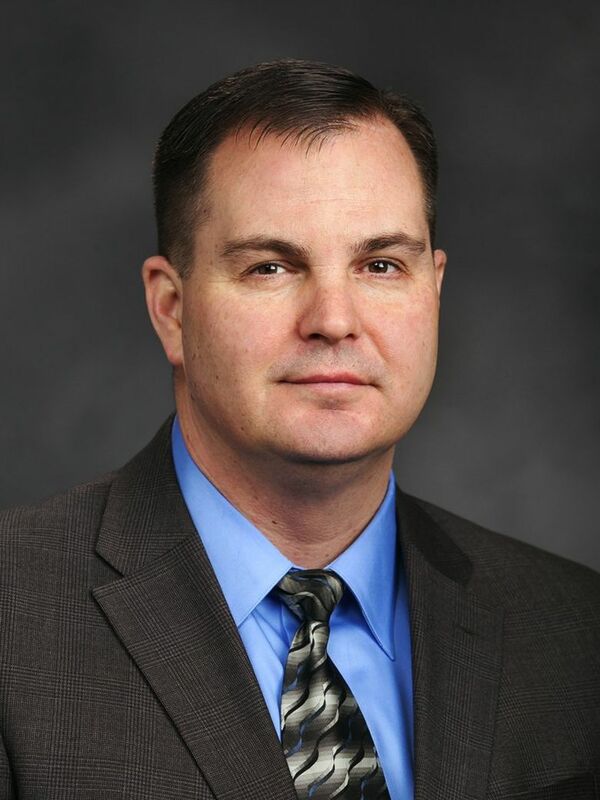 Ben Rarick of the state Board of Education said in a statement that his organization, which has historically opposed levy plans that reduce some local funding, is still reviewing the plan. But, taken together, the GOP plan and the previously released proposal by Democratic lawmakers have elements “that we can build on in a compromise,” said Rarick, the board’s executive director. The GOP plan comes as lawmakers and Inslee buckle down in an attempt to finally resolve the court’s 2012 McCleary order, which ruled that the state was underfunding K-12 public schools in violation of the state constitution. The big unfinished piece of McCleary is figuring how the state will pay for teacher and school-worker salaries. The court ruled that the state must pay those salaries: Currently, school districts pick up a big part of the cost through local property-tax levies. While lawmakers have poured billions of dollars into the K-12 system in recent years, the justices have not been satisfied with the rate of progress. The court in 2014 held the state in contempt for not moving fast enough on a full funding plan. The justices upped the ante in 2015, slapping the state with $100,000-per-day fines, which remain in place. And the court has said there must be a full education-funding plan in place by Sept. 1, 2018, with that plan approved by the end of the current legislative session. With that deadline in mind, the Republican proposal is the third funding plan released in recent weeks. The governor’s proposed 2017-19 state operating budget would add about $4.4 billion in revenue, most of it earmarked for education. About $2.75 billion of that — largely phased in during the second year — would provide for teacher and school-worker salaries to comply with McCleary. To pay for it, the governor proposed taxes on carbon emissions and capital gains, and increasing part of the state business-and-occupation tax. Inslee also called for curtailing some state tax exemptions. Along with the new tax revenue, Inslee’s plan would slash local property taxes for schools on three-fourths of the state’s households and businesses. No school districts would see a property-tax increase. Under the governor’s plan, the state over two years would increase its minimum portion of a starting teacher’s salary to $54,587. Democrats in the Legislature released their own plan earlier this month. It calls for funding teacher salaries and boosting starting salaries, reducing class sizes and giving relief to school districts that rely on local taxes to recruit and keep educators. That proposal also lists a capital-gains tax and carbon pricing as potential sources of new revenue. Sen. Andy Billig, D-Spokane, a member of the bipartisan Education Funding Task Force, which struggled to find agreement on a McCleary solution, said the GOP plan was a start.